Emily Riehl is an assistant professor in the mathematics department at Johns Hopkins University in Baltimore, currently on sabbatical in Sydney. 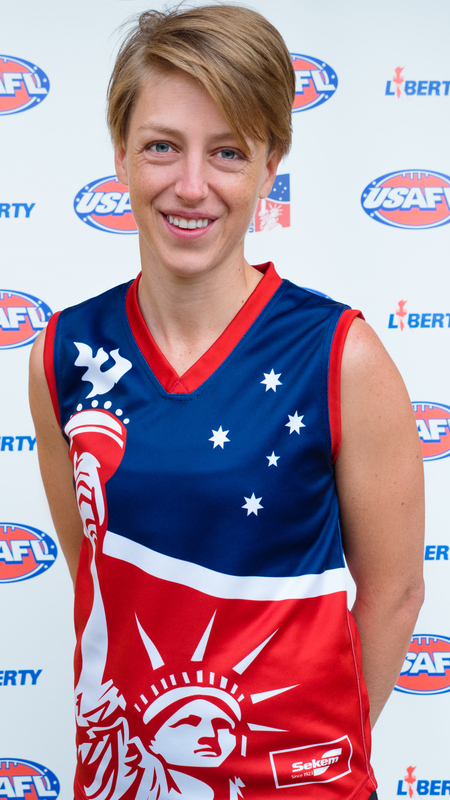 A former rugby player, she decided to give AFL a try while spending a summer in Sydney while pursuing her PhD. That initial visit, scheduled to avoid a Chicago winter, was horribly timed from the sporting perspective: she was able to play just one preseason match the weekend before flying home. The first opportunity to have a touch came a few minutes into the first quarter, when she found herself in a footrace with an opposition player to pick up the ball on the ground. The next thing she knew she was flying through the air after a hip check. She hit the ground laughing and has been hooked every since.